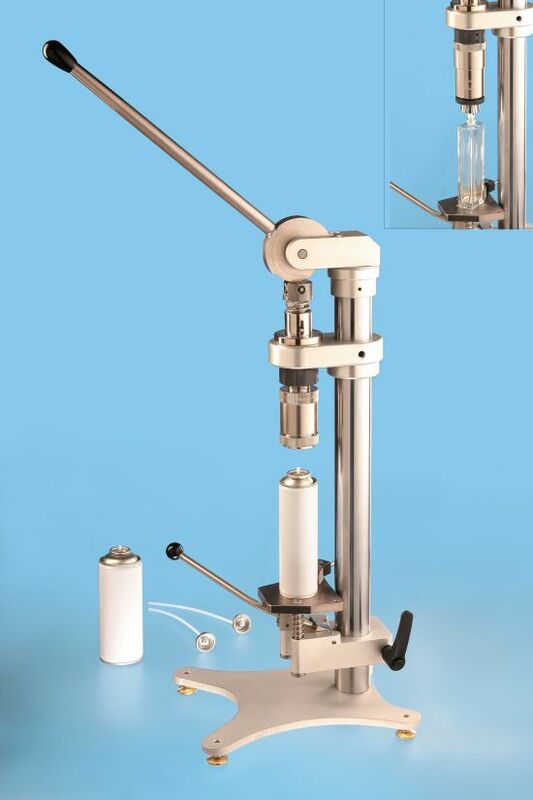 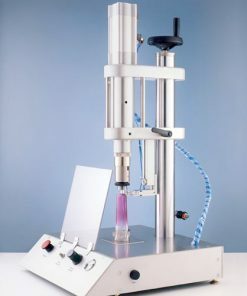 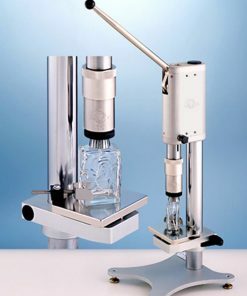 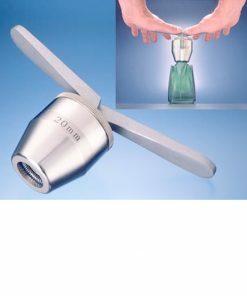 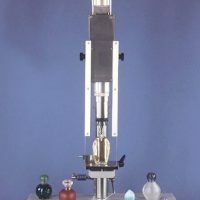 AP79L Manual Perfume Crimping Machine is simple to use and recommended for laboratory test or production of small quantities. 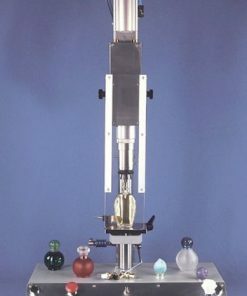 With this model all valve and pump diameters will be crimped by changing the crimping head, from perfume pump diameters to 1” aerosol valves. 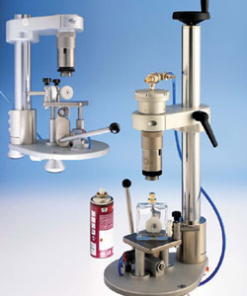 Supplied accessoires: n°2 centering tools, service keys and one crimping head (size on request).